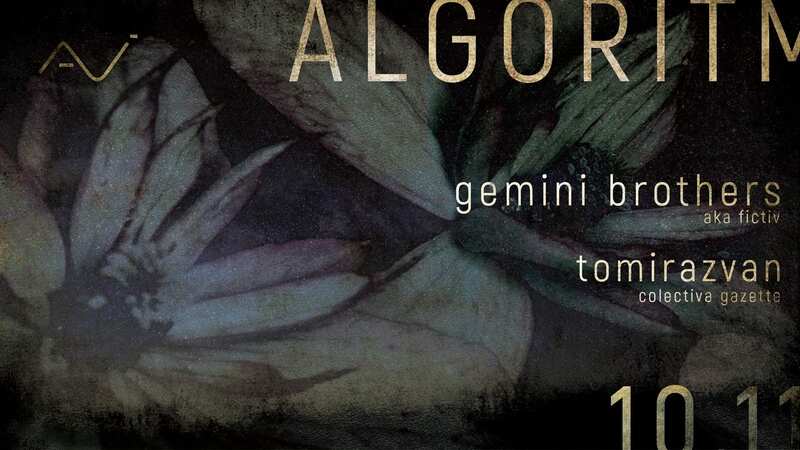 Algoritm is the manifestation of the soul, of the mind and the spirit when possessed by the music…come travel with us, expend your understanding of the surroundings, explore the inner and outer space and let music be the guide…. Hypnotic and trippy, repetitive rounding sounds journeys. The Romanian DJs and producers captured the electronic music scene since the 00’s. Influenced by the past roots, but staying strong in the present, the twins evolved as artists developing their own signature in styles they have been experimenting over the years; from Techno to House, from Acid to Minimal. Their complex and intense rhythms, bassline twists and drive fusion materials drawn in legendary record labels to get their releases on Moodmusic, Skint, Eskimo or Miami’s Bad Barbie. Known as Gemini Brothers or Francis and Francois, they interconnect like no-others, plus, being twins, the mother-heart connection goes beyond same music tastes and continues into never-forget journeys sets and mixes. Their various genres, combining techno with minimal and ambient, always transition with tracks that never ends gives them the trippy trips to many European places to share their sounds and experience. Now you can find them traveling to various clubs from Barcelona to Warsaw, from Belgrade to Tel-Aviv, from Mamaia’s Sunwaves Festival to London’s Lovebox. A resident DJ at the Gazette club, Tomirazvan found music at very young age. As a born to be explorer he started listening and collecting music from all genres and in different formats since he can remember. Hooked on the house sound of the 90’s and on the 4 by 4 beats that rooted in his ears, while experimenting with acid sounds and lo-fi ambient atmospheres he started playing various instruments in different bands throughout different spheres of music finally heading towards the decks. Seeing how he can move a crowd is an experience in itself, while his hypnotic and groovy music selection creeps in your feet and in your body moving you and connecting you to the dance floor, he is taking you on a carousel of states and emotions.